Signs of Spring in Midcoast Maine….2! Otherwise known as Watch for the Orange Signs!! 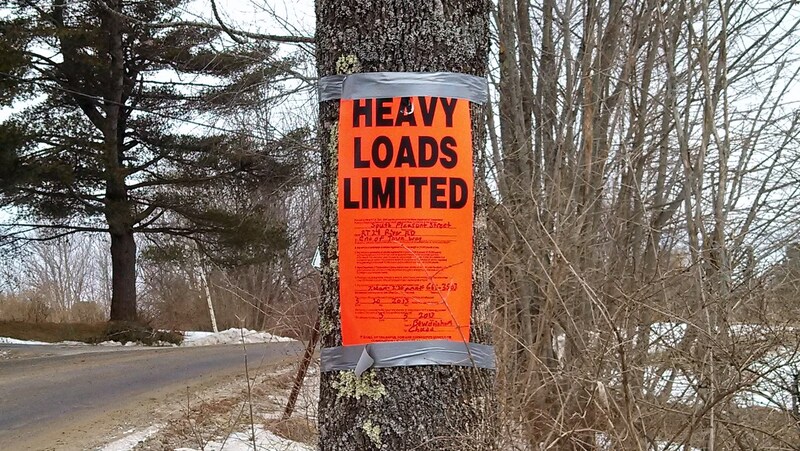 I got you ready for Maine Maple Sunday last time,but now a warning! Be careful what you’re driving when you go out for that pancake breakfast! You’d better plan on leaving the big truck at home because ~ THE ROADS ARE POSTED ~ and if you live in the Northeast, you know that’s a sure sign that the frost is coming out of the ground and it’s almost bathing suit time! Okay, maybe it’s a little premature to get out the bathing suits, but those posted signs sure do mean that it can’t be long now! 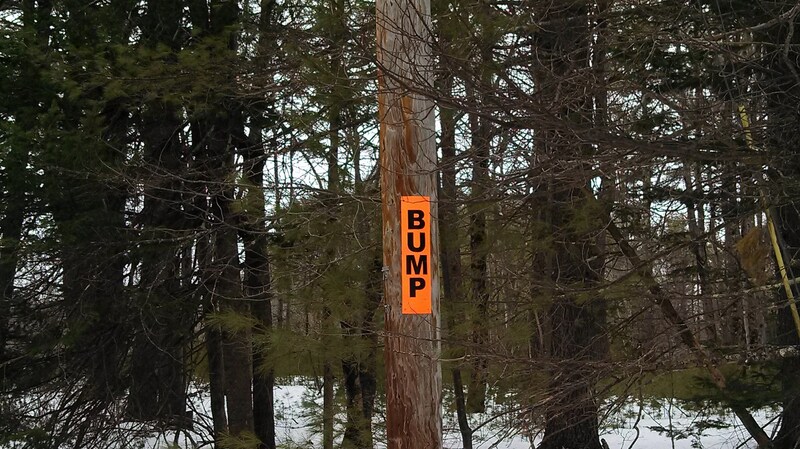 Of course we know that they also mean that the “other” orange signs come out….~ BUMP ~ and that means slow down or pieces of your car will be left in the middle of the road! 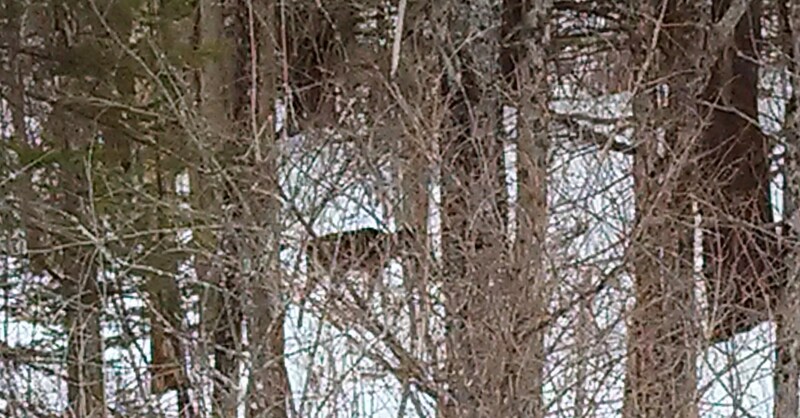 But there’s an upside to the orange signs, and slowing down ~ WILDLIFE SIGHTINGS ~ can you see the deer in the trees? He crossed right in front of me this morning and hung around while I took his picture! I didn’t get a photo of the eagle by the river just a few miles down the road, but trust me, he was there. So slow down, enjoy your ride, save a mechanic’s bill and know that it won’t be long now.